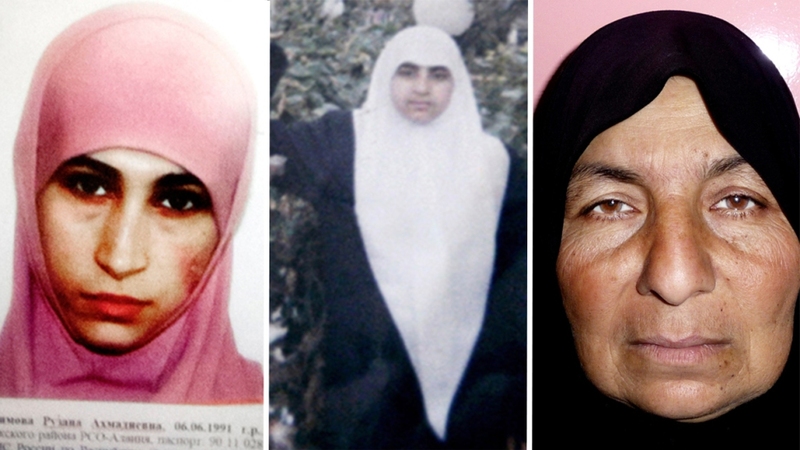 A photo of Ruzanna Ibragimova, far left, was distributed by Russian officials in 2014 about potential threat; Palestinian suicide bomber, Merfat Masoud, center; and Samira Ahmed Jassim, suspected of recruiting more than 80 female suicide bombers, in a photo while in police custody in Iran. Hasna Aitboulahcen, the woman who is believed to have blown herself up with an explosive vest in a suburban Paris apartment during a police operation Wednesday, was far from the world's first female suicide bomber. While most suicide bombers are men, Islamic militant groups have occasionally deployed women to carry out such attacks. Long before the rise of Islamic radicalism, female suicide bombers were used by separatist groups in the Arab world and beyond. 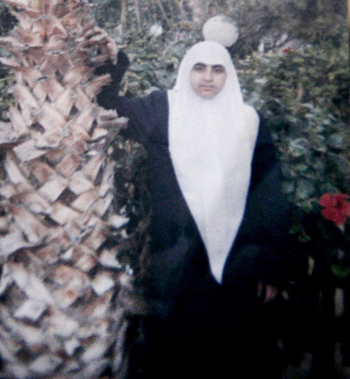 Palestinian female suicide bomber Merfat Masoud at the family house in the northern Gaza Strip town of Beit Lahiya. 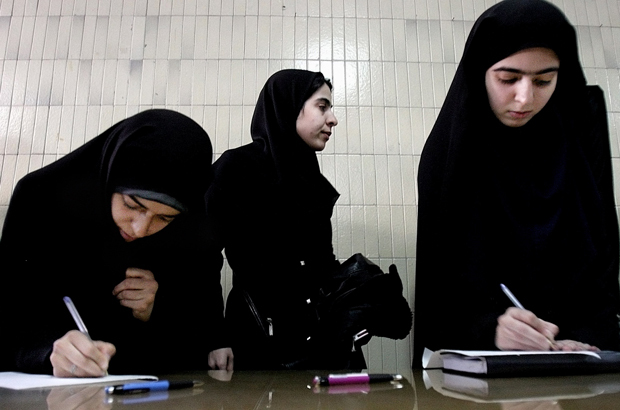 Iranian students fill out registration forms indicating their readiness for martyrdom or to carry out suicide attacks, in Tehran, Iran, Feb. 18, 2006. 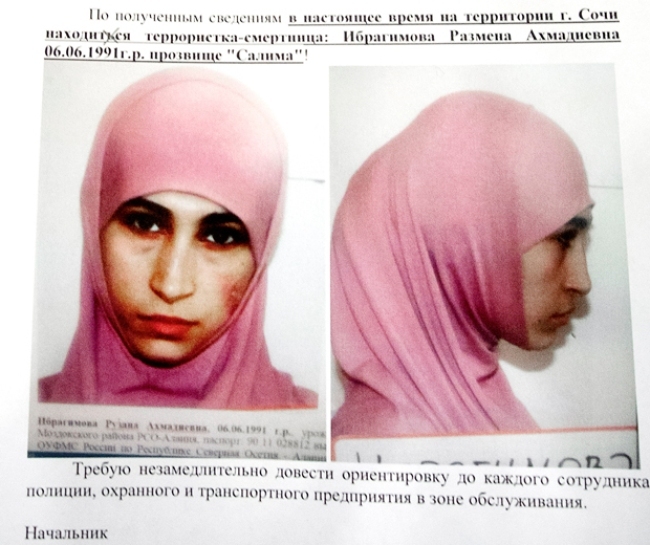 A police leaflet shows Ruzanna Ibragimova and contains warnings about three potential suicide bombers at a hotel in Sochi, Jan. 21, 2014. 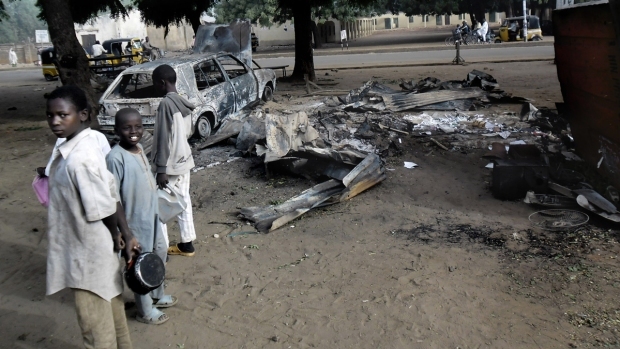 Children stand near the scene of an explosion a day after two female suicide bombers targeted the busy marketplace in Potiskum, Nigeria, Jan. 12, 2015. 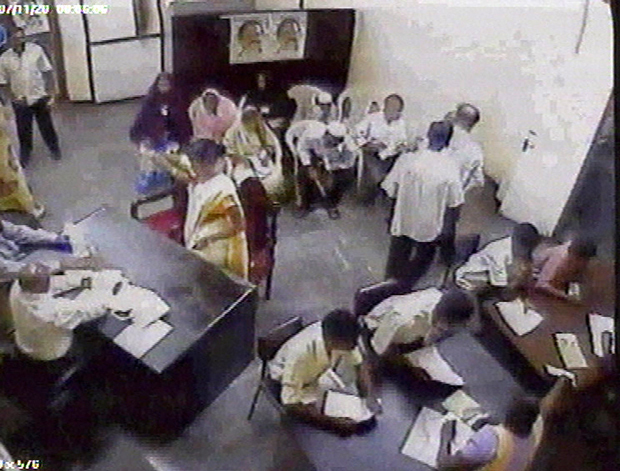 Female suicide bomber identified by police as 24-year-old Sujatha Vagawanam, in a yellow sari, calmly walked into the Colombo offices of Social Services Minister Douglas Devananda, stood up, reached her right hand to her right shoulder to grab something and exploded, Nov. 30, 2007. 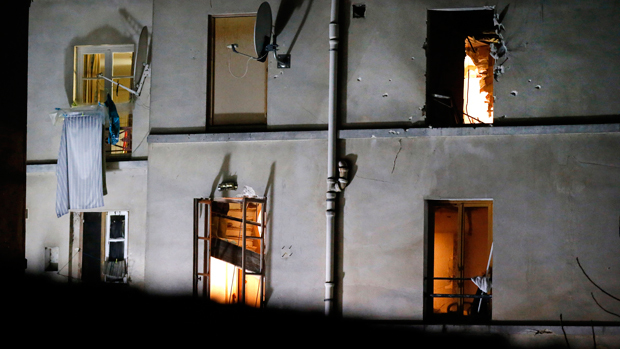 Bullet holes are pictured around a window on the back side of the house after an intervention of security forces against a group of extremists in Saint-Denis, near Paris, Nov. 18, 2015. A woman wearing an explosive suicide vest blew herself up as heavily armed police tried to storm a suburban Paris apartment where the suspected mastermind of November 2015's attacks was believed to be holed up, police said.